Prof. David R Syiemlieh Conferred Hon. D.Litt. Workshop on "Goods & Services Tax: Registration, e-Filing and Compliance"
Eight USTM students were selected for Laurel Global School & Westberry School, Andhra Pradesh in interview conducted on 29 and 30 January 2018. Good news! Recently GNRC has conducted a interview among the passed out students of MBA/MA Social Work and Public Administration for the post of "Area Development Executive"
JNU VC will address Third Convocation at USTM. USTM’s First Capture of an Astronomical Event by Astronoscope-I. University College of Physiotherapy Launched at USTM. International Youth Day at USTM. 9th orientation programme at RIST focuses on competitiveness and self motivation. North East College Magazine Competiotion-2017 Awards dispensed. USTM Media Excellence and Achievers Award-2017 conferred. People’s university USTM observed PR day. Brigradier Ranjit Borthakur, ex- chairman of APSC joined ERDF. 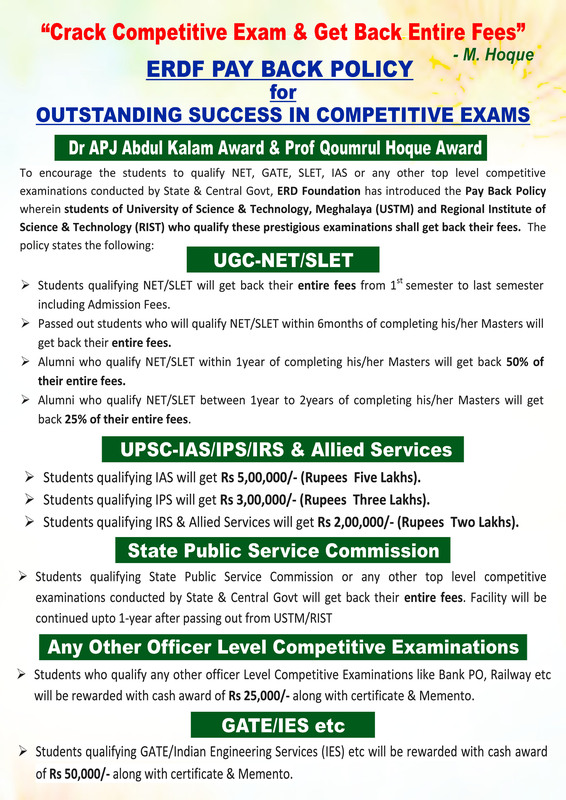 USTM, the First Private University of the Region to Fulfill UGC Compliance". Celebration of World Consumer Rights Day (WCRD) at USTM. ‘PI’ Day observed at University of Science & Technology, Meghalaya. Good News ! USTM student cleared NET ! USTM got NCTE approval for B.Ed.